Sarah E. Peyre, EdD is the Associate Dean for Innovative Education and a Professor of Surgery, Nursing, Medical Humanities and Bioethics at the University of Rochester. In addition to her faculty appointmens, Peyre's primary role is as Executive Director of the Institute for Innovative Education (IIE), where she leads advances in health professions education through simulation, adaptive technology, team science and novel approaches to information and education delivery. The IIE is a centralized matrix of services that includes the Miner Library and the Center for Experiential Learning, and is supported by IT and educational specialists with expertise in instructional design, simulation and program development. The IIE supports the educational mission of the School of Medicine and Dentistry, School of Nursing, Eastman Institute of Oral Health, Strong Hospital and the Faculty Practice Group. Working extensively in the field of simulation, Peyre's career has evolved to focus on high-performing healthcare teams and the educational innovations that support collaborative care models. Her work in interprofessional education includes curriculum development on disparities in healthcare, leadership and technology. 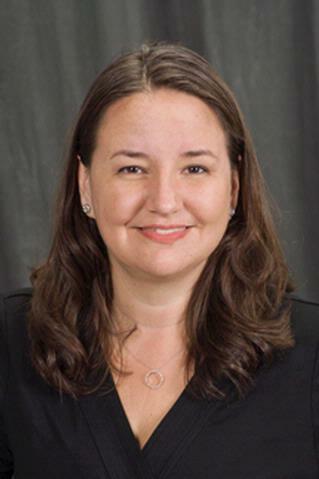 Her Macy Faculty Scholars Project is focused on identifying and teaching best practices in the patient and family-centered use of the electronic medical record (EMR). Building on the traditions of the University of Rochester, she is interested in nourishing humanism alongside technology as educational programs are created that promote effective communication within high performing teams. Before joining the URMC faculty in 2011, she directed Education and Research for the STRATUS Center for Medical Simulation at the Brigham and Women's Hospital and was assistant professor of Surgery at Harvard Medical School. She earned her Bachelor of Arts in Sociology from the University of California at Berkeley, and her Master in Science of Medical Education and Doctorate in Educational Psychology from the Rossier School of Education at the University of Southern California. Wolf AB, Peyre SE. "Student Satisfaction With Blackboard-Style Videos." Nursing education perspectives.. 2018 39(4):244-246. DeCaporale-Ryan LN, Dadiz R, Peyre SE. "Simulation-based learning: From theory to practice." Families, systems & health : the journal of collaborative family healthcare.. 2016 Jun 0; 34(2):159-62. Hu YY, Parker SH, Lipsitz SR, Arriaga AF, Peyre SE, Corso KA, Roth EM, Yule SJ, Greenberg CC. "Surgeons' Leadership Styles and Team Behavior in the Operating Room." Journal of the American College of Surgeons.. 2016 Jan 0; 222(1):41-51. Epub 2015 Oct 17. Author List: Peyre, SE, Smink, D.